Asus today announced VivoWatch BP, the company's latest smartwartch at the Computex 2018 in Taiwan. 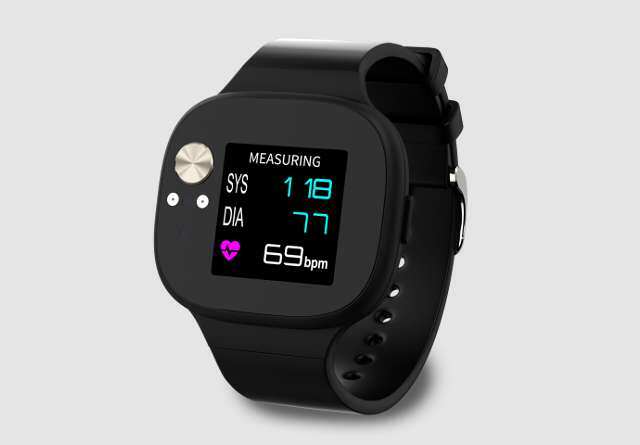 The device, primarily meant for health diagnosis, comes with a built-in PPG sensor and ECG sensor, which helps provide real-time blood pressure measurements and helps keep track of blood pressure, thanks to Asus HealthAI technology. The HealthAI deliver health stats including heart rate nearly in real-time on the watch screen. Speaking of screen, the VivoWatch BP has a color anti-reflective LCD display that let users monitor various data right on their wrist. Apart from heart rate and blood pressure monitoring, the watch can also track sleep, and other fitness exercise such as run, walk, steps e.t.c. According to Asus, the VivoWatch BP is 70% smaller and 50% lighter than current wrist-mounted blood pressure monitors. The company also revealed that medical-grade materials were used to build the device. The new Asus watch is IP67 water-resistant certified for light swimming and it also has an inbuilt GPS for tracking and navigation, including sharing of real-time location to family and close relatives. Battery onboard is rated to deliver up to 28 days of normal use in a single charge. Priced at $169, the VivoWatch BP will be available first in Taiwan including Asia as a whole by the end of July and from there will roll out Europe sometime in August. Color options included are Black, Green, Maroon, Blue, and Gray.